Canal - Bluegill, Largemouth Bass, Crappie, Channel Catfish and Rainbow Trout. Illinois River - Walleye, Sauger, Bass, Catfish and pan fish. Lock 14 on the I&M Canal near downtown LaSalle is a truly unique fishing spot in central Illinois. Located at the meeting place of the Illinois River and the historic I&M Canal, Lock 14 isn’t just a piece of history, it’s a great place to fish, regardless of how windy, rainy, cold or warm it is. 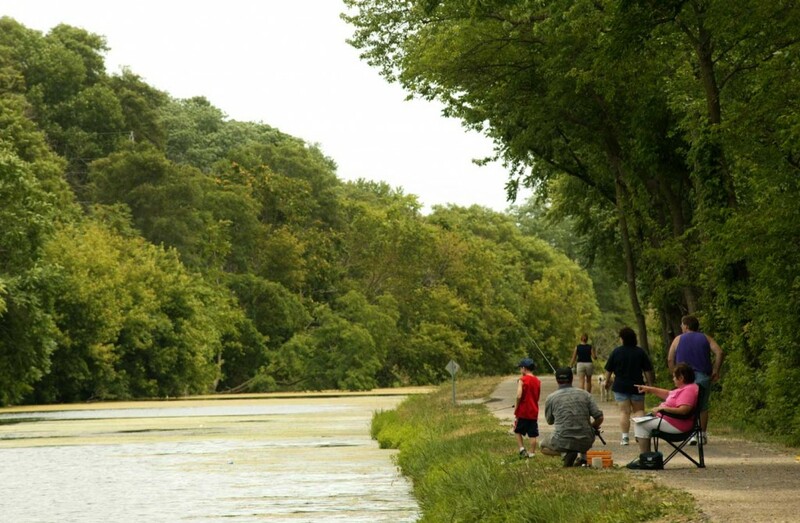 The canal provides a smooth surface, sheltered from the wind where bluegill, largemouth bass, crappie, channel catfish and rainbow trout (stocked) all bite. On the other side of Lock 14 is the Illinois River, where steam barge captains would harbor to discuss business with the canal boat captains bound for Chicago. River fishing spots with room for chairs dot the shore with plenty of overhangs, rocks, reeds and other shelter for bass fishing in the fall. Walleye, sauger, bass, catfish and panfish are all available here. 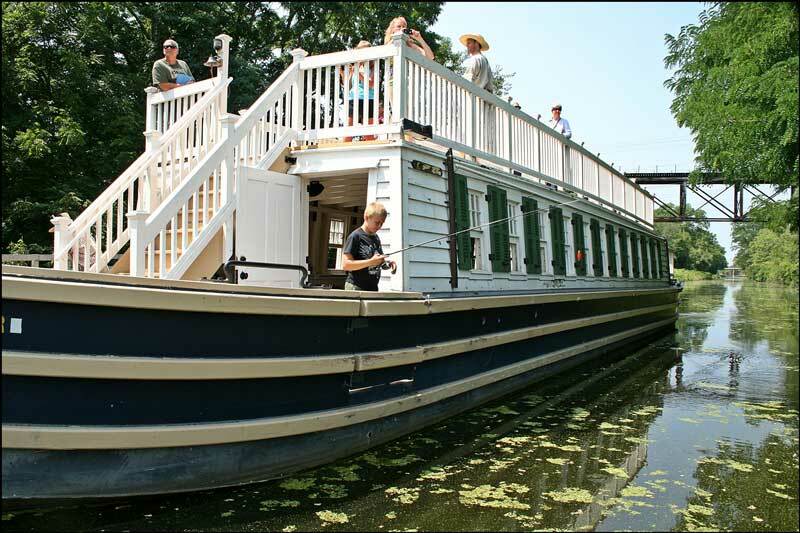 Parking is plentiful next to the LaSalle Canal Boat, an 1840s-era replica canal boat located at Lock 14. Remember to bring an apple or carrot for Larry and Moe, the team of steadfast mules that pull the boat. The aqueduct over the Little Vermillion River is just a mile up the canal from Lock 14. History buffs can take a break to walk over to the immense and nearly unchanged Second-Empire Hegeler Carus home. This seven-story mansion was home to several of LaSalle’s most influential families and provides tours throughout the week. Several downtown dining options are within walking distance, including the Uptown Grill, Mickey’s Massive Burritos, and The Dog House. To add some spice to your day, hop in the truck and head over to nearby Utica for some “swamp-to-table” cuisine at the Cajun Connection, open Weds.-Fri. 4-9pm, Sat. 12-9pm, and Sun. 12-6pm. Your picture holding an alligator tail is sure to rank next to the prize bass you caught. Bait can be purchased at several of the convenience stores in town, or at Cajun Bait & Tackle in downtown Utica. 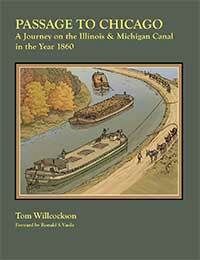 Be sure to stop by the Lock 16 Cafe and Visitor Center for more information on the canal, plus food, beverages and more.